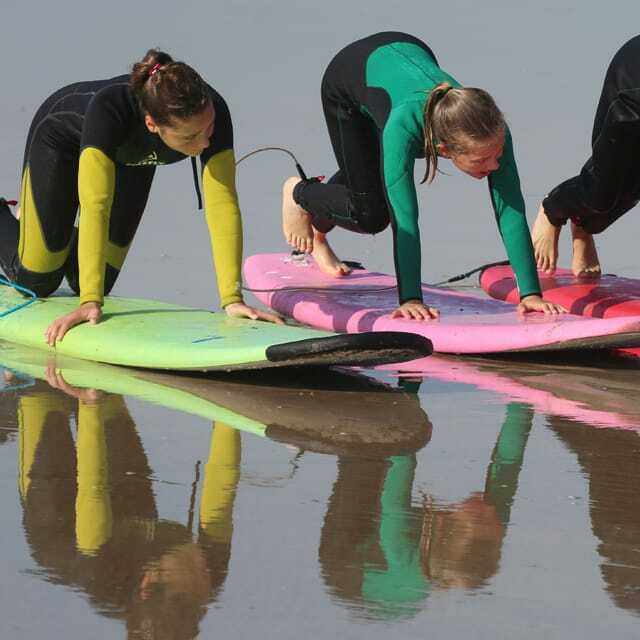 Our surf school is located in Hendaye. You don't have to carry very heavy equipment you're directly on the beach! 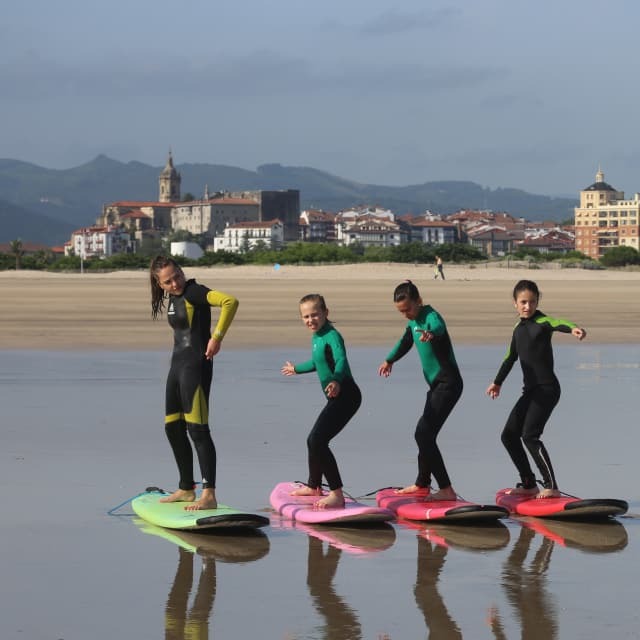 Hendaye, a surf spot for beginners and intermediates ! The long beach of Hendaye (3.5km) is a garden for beginners. The waves are rarely too big and this very flat beach slows down the swell and allows surfing on all occasions unless the swell is really low (less than 1m and 6-7sec of period). When the swell is really big, there is only one solution left, to go to the withdrawal spot of Hendaye. Be careful as everywhere, the spot does not work at high tide and at low tide the size of the waves tends to decrease at low tide. The swell disappears completely at low tide. The advantage of this range is that it is very large, it has many peaks. This spot is also ideal to start surfing! 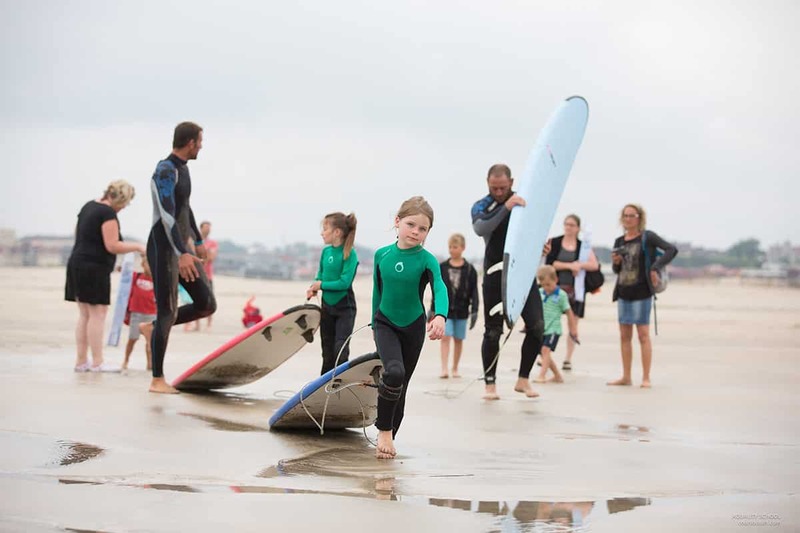 With its 3 kilometres, Hendaye unrolls the largest fine sandy beach on the Basque Coast. It is here that Pauline Ado, 2009 Junior World Surfing Champion, surfed her first waves. Thanks to its policy of preserving sensitive natural areas, Hendaye also has a "wild" aspect along the Corniche road. 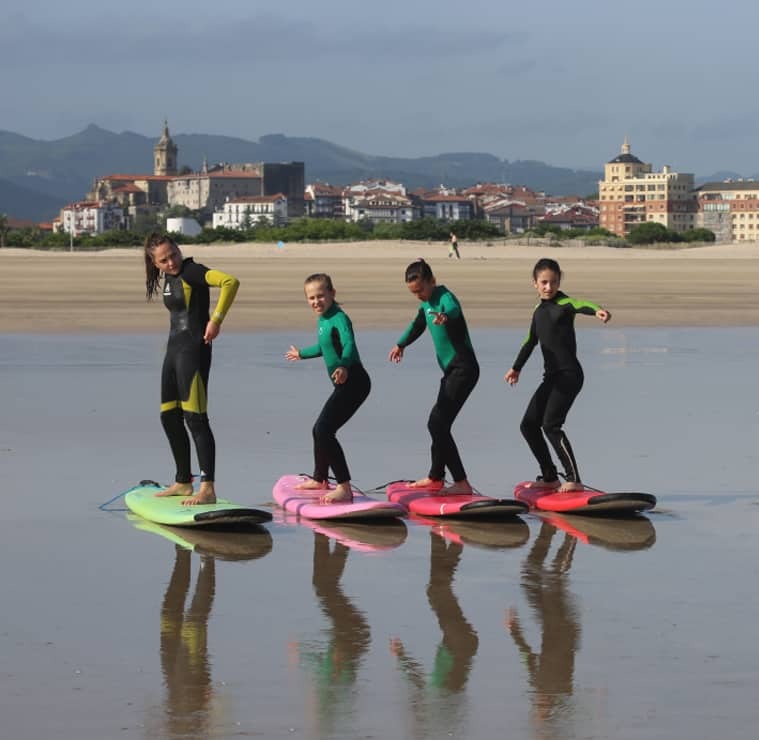 From the giant wave of Belharra (Urrugne) to the "green slopes" for beginners in Hendaye Bay, the extreme south of the Basque coast cultivates an unusual diversity of spots, and reminds us that the best surfer of all is the one who takes the most pleasure. 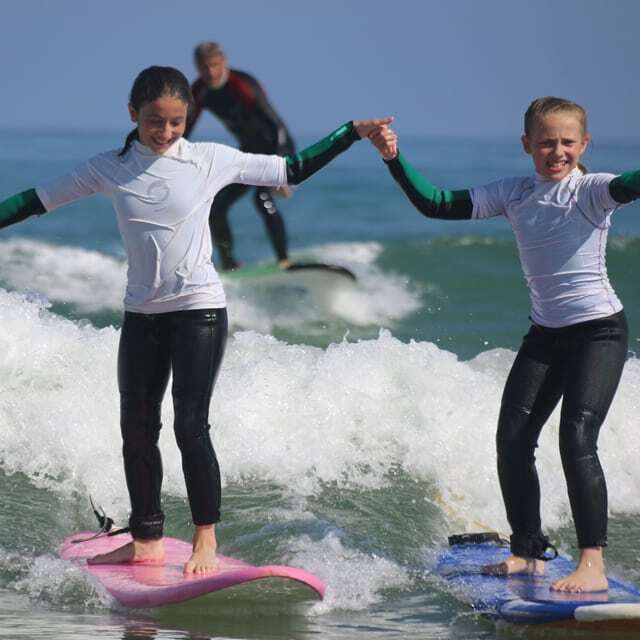 Ideally located, you will enjoy a high quality surfing course and spend 1h30 in the water ! Remember to book in advance book in advance because in summer and during school holidays, slots are taken on 7 days and there is no place for last minute bookings. 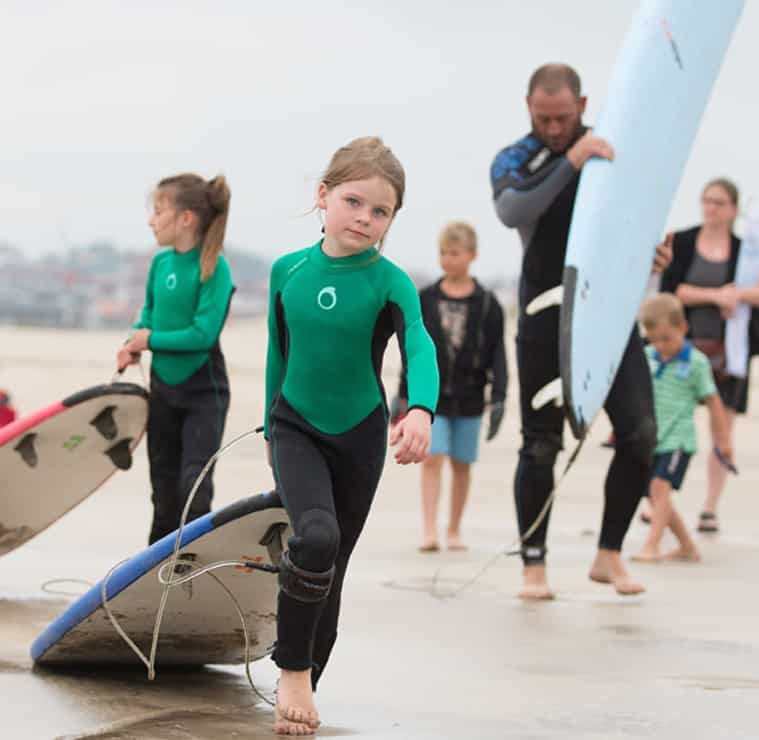 What to bring for my surf lesson? We provide the board, wetsuit, monitor and transport if the ocean is in a storm and you have to leave the area to go to a retreat spot. Simply bring a jersey to put under the suit, a towel, a diaper and a bottle of water. in order to give you the greatest possible satisfaction. We will therefore remind you 48h before the course day to give you your course time according to the tides but also the "reliable wave and weather forecasts". From beginner to intermediate and advanced level, we will find the right wave to progress without age or gender limits. 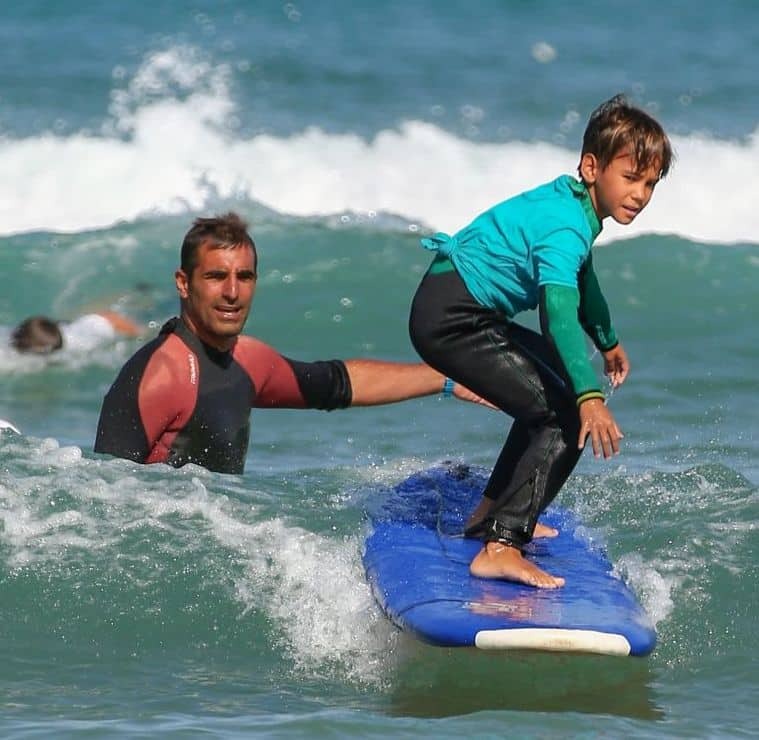 Your surf instructor will be able to accompany you throughout your training. Live your dream, spend your holidays with us ! Book now your surfing session on Bidart by paying 50% deposit. Specify the day in the comments, we will call you back a few days before the course (no later than 48 hours) to give you a schedule.